Looking for some great ideas to dress up a room, a gift, or even a tank top?? Well, Beverly's got 'em! We've just updated our web site with some brand new HOW TO's we think you'll love. 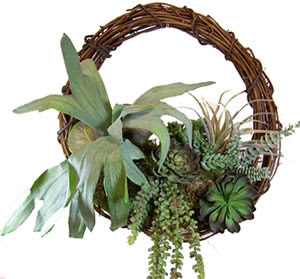 Our latest is this Succulent Wreath that'll freshen up any room and it's super easy to make. This month at Beverly's all Succulent Plants are 30% off - no coupon is needed!